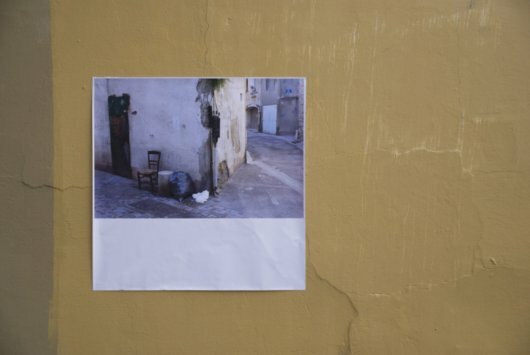 The Runaway Chair from Arles, France is at the renegade bus stop on the corner of Washington Street and Magazine Street where the downtown 11 bus stops in New Orleans. 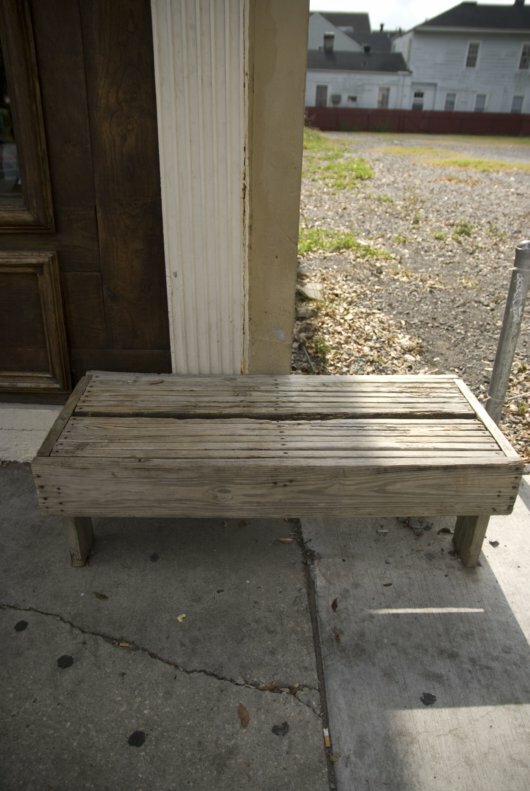 New Orleans has a striking lack of street furniture. Bus stops, park benches, sidewalk cafes are scarce. I have heard any number of reasons for why this is: historic standards, Mardi Gras sidewalk crowding (yes, planning decisions are made around this once a year event), and – the most likely culprit – the underfunded Regional Transit Authority (RTA) can’t afford to place benches at every stop. 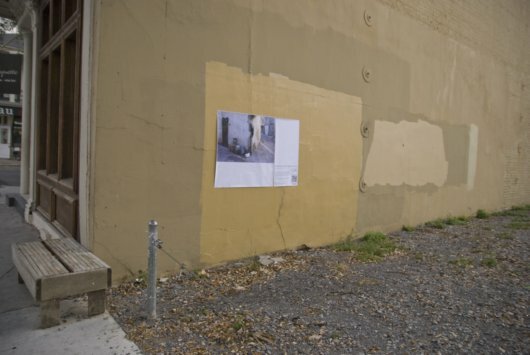 In the last year, the RTA has been rolling out bus shelters, but there are too few for the number of places that people need to sit in the city. Thus, you will frequently find makeshift seating options around town provided by a kind property owner or a rebel Tulane architecture student. As far as I can tell, my renegade bus stop is the work of the kind people at Coquette, the restaurant that occupies the building where I hung the Runaway Chair. The bench moves from time to time, sometimes closer to the street, sometimes closer to the building. During the construction on Magazine Street this past summer, I once spent an hour and twenty minutes waiting for the bus on that bench. I finally gave up and walked downtown. There was only one other place to sit the rest of the way.